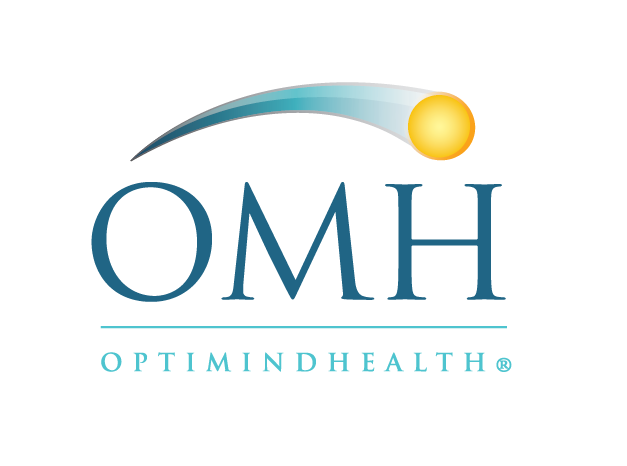 OptiMindHealth (OMH) is a growing multistate mental health and wellness practice comprised of dedicated physicians, psychologists, clinical social workers, and advanced practice nurses. Our practice mission is to improve access to holistic and cost-effective mental health care while supporting our clinical staff in all aspects of their work. Under the supervision of the Medical Director, the Clinical Psychologist, as a part of the patient care team, is responsible for providing standardized counseling/talk therapy and psychological/neuropsychological testing services for a range of clients presenting with various behavioral health issues such as, mood disorders, anxiety disorders, personality disorders, substance misuse, and other psychiatric impairments, who are referred by OMH’s physicians and mid-level providers. The Clinical Psychologist will work to address other social needs of patients and will utilize area referral sources for needed specialty care, hospitalization, or advance psychiatric assessments and treatments. Supervision Responsibilities: Occasional supervision of staff licensed mental health professionals (LPC/LMFT/LCSW), as appropriate. 1. Receiving referrals from OMH’s physicians and mid-level providers. 2. Assessment of the mental and behavioral health status of referred patients. 3. Providing counseling/talk therapy to scheduled patients utilizing professional counseling standards. 5. Formulating short-term and long-term counseling plans for patients. 6. Consulting with medical director and other providers regarding complex patients including those requiring medication management. 7. Identifying patients with urgent mental health conditions and making appropriate and timely referrals to available emergency treatment facilities. 8. Providing written documentation of counseling sessions, assessments, interventions to meet requirements for medical records documentation. 9. Providing non-scheduled urgent assessment of patients with medical clinic appointments. 10. Providing group and family therapy sessions as indicated. 11. Assisting Medical Director in developing protocols for OMH’s counseling services and criteria for outside referrals for advanced/emergency psychiatric care. 12. Reviewing periodic productivity reports. 13. Reviewing reports for quality improvement. 14. Participating in weekly OMH clinical staff meetings to review treatment planning and providing in-service training and supervision on relevant topics for co-workers as requested. 15. Participating in a team management approach to patient care/treatment. 16. Maintaining quality care through participation in peer review, policy development and quality improvement programs. 17. Maintaining appropriate documentation of clinical and counseling services, including all necessary billing information. Ensuring accurate and consistent use of encounter forms for all client contracts with behavioral health providers to ensure accurate billing of third-party resources. 18. Maintaining and updating professional knowledge and proficiency through continuing education, staff meetings, workshops and serving on special committees. 19. Offering psychological and neuropsychological testing services as needed. 20. Ability to perform CFI or PRE (custody evaluations) preferred. 21. Performing other duties as assigned. The Clinical Psychologist works under the direct supervision of the Medical Director/Executive Director or Designee, who provides general instructions. Work is assigned in terms of functional/organizational objectives. The Medical Director/Executive Director or Designee will provide guidance in unusual situations which do not have clear precedents and on an as-needed basis. The employee works independently, resolves problems based on past precedent, exercises judgment in interpreting guidelines and applicability, and ensures deadlines are met. 1. Skill in providing professional counseling/talk therapy according to established standards of care; excellent customer service and support skills. 2. Organizing and prioritizing workload and meeting deadlines; and excellent written and verbal communication. 3. Ability to successfully counsel patients for improved mental and behavioral health. 4. Experience with offering psychological and neuropsychological testing services. 5. Work with physicians, mid-level providers and other members of clinical care teams to evaluate patient conditions and develop comprehensive care plans. 6. Successfully refer patients to mental health specialists and other community resources as appropriate. 7. Interact effectively and professionally with persons from diverse cultural, socioeconomic, education, racial, ethnic and professional backgrounds. 8. Work effectively with managers, co-workers, members of the public and professional groups to manage and coordinate activities and projects. 9. Communicate effectively, clearly, concisely with others (internal and external customers, both verbally and in writing), consistently demonstrate positive/proactive customer service attitude, consistently maintain ethical behaviors exemplary of quality public service and fair standards, inclusively, among all employees and members of the public. 10. Work as an effective team member, function independently, exercise sound judgment and initiative. 11. Be flexible to shift priorities and to maintain confidentiality. 12. Establish and maintain effective interpersonal work relationships, to effectively assist medical providers, and work toward goals and objectives of established OMH mission and standards. 13. Follow OMH’s Clinical practice guidelines and all applicable policies, including adhering to the mission, vision, and guiding principles, to receive constructive feedback including evaluation of one’s productivity and practice attributes. 14. Be available to accept new assignments as needed. 1. Ability to perform position responsibilities satisfactorily with or without reasonable accommodation. Reasonable accommodations may be made to enable individuals with disabilities to perform the essential duties of the position. 2. Ability to understand that safety is a condition of employment. Unsafe acts or conditions will be reported to the supervisor or a member of the management team. 3. Must be computer literate with ability to enter information in the OMH EHR system and compile reports or data as requested. Completion of an accredited program with certification and licensure as a Clinical Psychologist in the state of Massachusetts. Clinical Psychologist (Ph.D/Psy.D) with at least two years of full-time experience in outpatient mental health counseling preferred. Must possess current Massachusetts licensure as a Clinical Psychologist and be able to practice independently. Must be able to meet and maintain current OMH credentialing requirements. Must be willing to provide telehealth services as needed. Willingness to work evening hours and weekends as needed is preferred. The specific statements shown in each section of this Job Description are not intended to be all-inclusive. They represent typical elements and criteria considered necessary to perform the job successfully. The job’s responsibilities/tasks may be modified and/or expanded over time. OMH will inform the employee when changes in the respective job description are made.